(TibetanReview.net, Jan24, 2018) – Floods caused by disturbances in the flow of rivers from Chinese ruled Tibet remain a major source of danger to downstream India and China has not been providing New Delhi with hydrological data on those rivers as previously agreed, according to Indian news reports. It has been a year since China shared information on the flow, for example, of the Pareechu, a tributary of the Sutlej river in India’s Himachal Pradesh state, reported hindustantimes.com Jan 22. As a result, India’s Central Water Commission was reported to have sought help from the country’s external affairs ministry over the issue. On Jun 26, 2005, Pareechu wreaked havoc in India when a glacial lake was formed after its course breached. The lake, the size of 20 football grounds, burst, flooding the Sutlej. The water washed away the strategic Hindustan Tibet road or National Highway 22 at a number of places. Ten bridges and 11 ropeways were swept away. Fifteen bridges were damaged on the 10-km stretch of the highway between Wangtoo and Samdoh alone, the report noted. Though no loss of life was reported at that time, 5,000 people had to be evacuated under an army Operation called Varuna. The total economic loss due to the flooding was put at eight billion rupees. India and China annually renew their protocol on sharing information on two major rivers — Brahmaputra and Sutlej. But China had reportedly stopped sharing information with India on water inflow in Pareechu, noted an earlier hindustantimes.com report Aug 13, 2017. It was also earlier reported that China had not shared any hydrological data for the Brahmaputra river with downstream India during last year’s monsoon season, supposedly due to upgradation and renovation work. The Chinese claim was later exposed as a lie when it was revealed that Beijing had continued to provide hydrological data on the same river to downstream Bangladesh, according to a zeenews.india.com Sep 19. 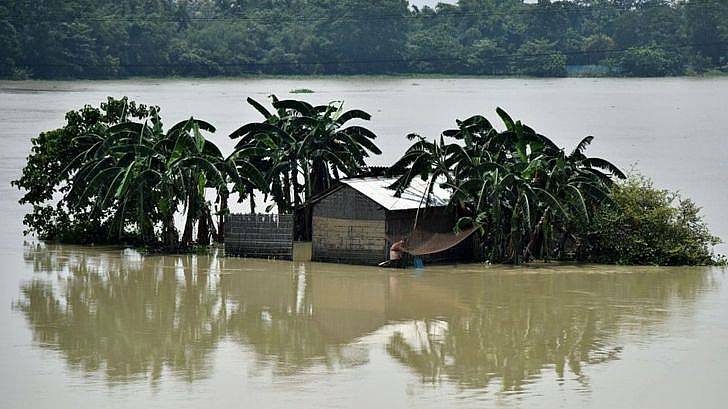 The BBC was reported to have quoted Mofazzal Hossain, a member of the joint rivers commission of Bangladesh, as saying, “We received data of water level of the Bramahaputra from China few days ago.” He had added that the country had been receiving such data from three hydrological stations in Tibet since 2002. Critics have previously expressed fears that China was building environmentally catastrophic dams on the Yarlung Tsangpo, the Tibetan name for the Brahmaputra, to be used as hydrological weapon on downstream India.